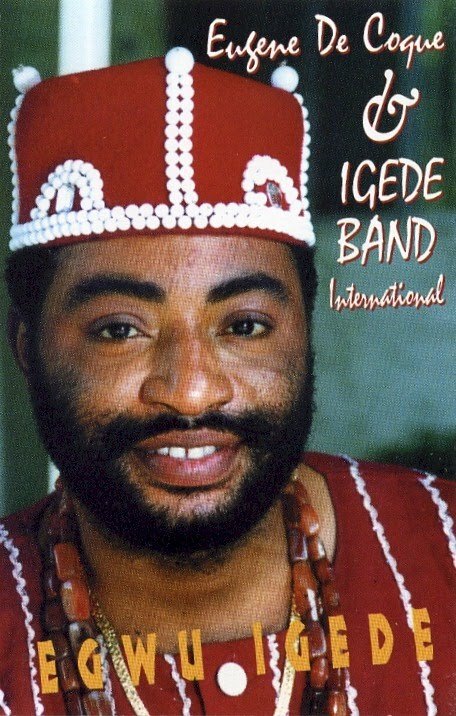 Eugene de Coque, brother of the late Nigerian highlife master Oliver de Coque, has been based in Los Angeles since the early '90s, and along with his group the Igede Band, played backup for Oliver during his U.S. tours. They've recorded at least four albums on their own, the first of which, Egwu-Igede (Victory Productions VP 001, ca. 1992) is featured here today. Egwu-Igede, which apparently was released only on cassette, ably continues Oliver's Ogene Sound legacy and takes it to new heights. The integration of traditional Igbo folk elements and modern studio techniques is particularly deft. Enjoy! Download Egwu-Igede as a zipped file here.